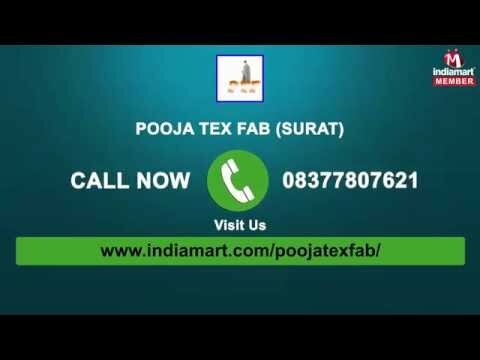 Pooja Tex Fab, are a noted organization engaged in manufacturing, supplying and exporting an immensely beautiful Fabrics and Ladies Apparels. In this range we are offering Designer Ladies Pareos , African Fabric and Wax Print Fabric. In addition to this, we offer Polychiffon Fabric, Chiffon Fabric, Polyester Crepe Fabric, Printed Saree, Net Saree, Fancy Saree, Embroidered Saree and many more. We manufacture these fabrics, sarees, lunigis & kurtis by making use of premium quality thread, yarns, fabric and other decorative material, sourced from the trusted vendors of the industry to ensure their high quality. Our specialized textile fabrics such as Songket Fabrics, Cotton Fabrics, Ladies Lungi & Gents Lungi.